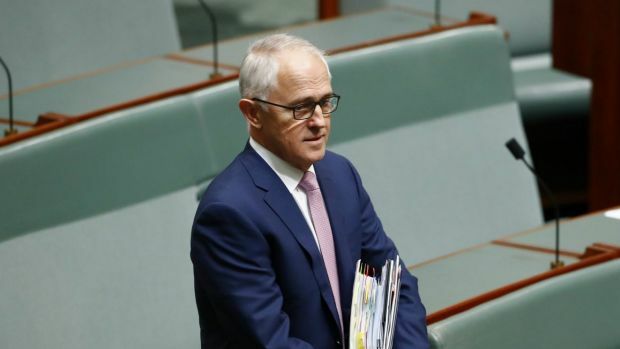 Prime Minister Malcolm Turnbull is considering a proposal for a major restructuring of the federal government that would create a US-style Department of Homeland Security. The stated aim of the plan is to improve co-ordination across the government in preventing terrorist attacks. It would merge at least half a dozen relevant federal agencies from two departments into a mega-department. Malcolm Turnbull reveals a man has been arrested in rural New South Wales, accused of attempting to supply ISIS with missile technology. The enlarged department would be built on the existing Department of Immigration and Border Protection, which already includes the Australian Border Force. 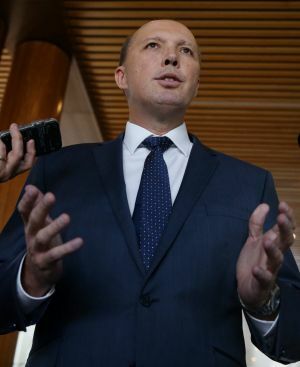 The putative minister for homeland security would be the current Immigration Minister, Peter Dutton. Mr Dutton, the most senior conservative in the Turnbull cabinet, is understood to strongly favour the reorganisation. The relocated agencies would be stripped out of the Attorney-General’s department. It would be reduced to a legal advisory office, losing all its operational agencies including the Australian Federal Police and the domestic spy body ASIO (Australian Security Intelligence Organisation). But the proposal is hotly contested within the uppermost ranks of the government. Minsters and officials complain that it’s unnecessary, potentially counterproductive and based on an ambition for “empire-building” by the plan’s architect, Secretary of the Immigration Department, Mike Pezzullo, and Mr Dutton. Former prime ministers Kevin Rudd and Tony Abbott considered the same or similar reorganisation but rejected it because, according to a former top official involved in the process, it was “too hard”. There is a widespread expectation among ministers and senior officials that Mr Turnbull will remove the Attorney-General, George Brandis, from his cabinet by mid-year. Senator Brandis’ sacking would be the trigger for the reorganisation. The Attorney-General is staunchly opposed to being moved on, and, together with other ministers, is understood to be strongly opposed to the proposed restructuring. Mr Turnbull has been keeping his intentions closely guarded. He has held only very limited discussions with ministers on the proposal. Some ministers have heard word of the plan only through their civil service officials. Remarkably for such a major change, no written proposal has been circulated within the government. “Because,” an official said, “it would have to be put together by the very bureaucracy determined to strangle this idea at birth”. A minister said: “It doesn’t have the support of any agency other than Pezzullo at Immigration, and Roman Quaedvlieg,” the commissioner of the Australian Border Force, which absorbed the Customs Department under an initiative of Mr Pezzullo. “The people who militarised Customs are now trying to take over the entire national security system,” said the minister. The US merged 22 agencies to create the Department of Homeland after the September 11, 2001 terror attacks exposed a deep problem of poor co-operation between agencies. A Canberra official said that Australia suffers a similar problem: “There are data jealousies between agencies, data gaps, a lack of full data sharing. This would all come out in the event that Australia suffered a mass terrorist attack, he said. The creation of the American department improved information sharing, but the department’s Inspector-General, John Roth, reported last month that full co-operation remained elusive. “Lack of coordination and unity occurs in all aspects of DHS’ programs,” he said. Posted on March 12, 2017, in ConspiracyOz Posts. Bookmark the permalink. 1 Comment.